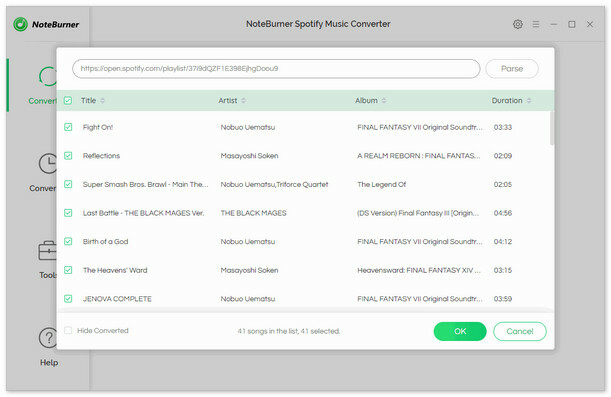 NoteBurner Spotify Music Converter for Windows is a powerful Spotify music converter which is designed for Spotify user to convert or download Spotify song/Radio/podcast to other popular audio formats like MP3, AAC, FLAC or WAV with lossless quality. 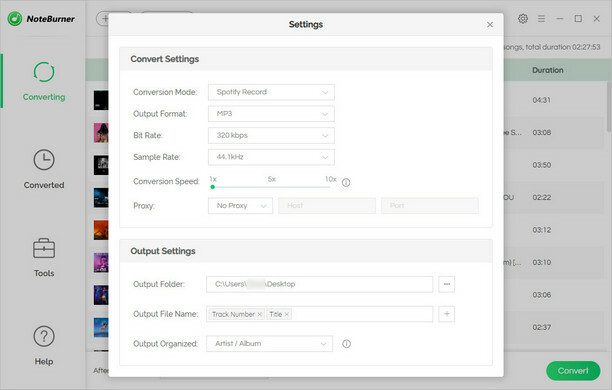 First, you need to download and install Spotify Music Converter on your Computer. Tips: You can only convert the first 3 minutes of each audio with the free trial version. To unlock its limitation, please buy the full version >>. 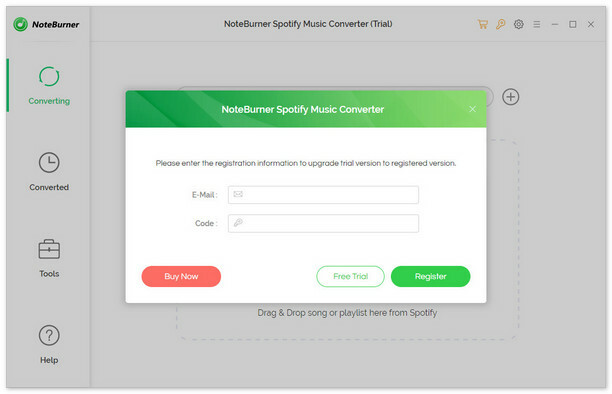 How to Register NoteBurner Spotify Music Converter for Windows? Step 1. Launch NoteBurner Spotify Music Converter. Launch the program, you can see a simple and concise interface. Step 2. click the " " button on the top-right interface, and then choose Registration in the drop-down list, you will get the register window below. Note: The registration information is case sensitive. Please do not add blank at the beginning or at the end of the registration e-mail and code. 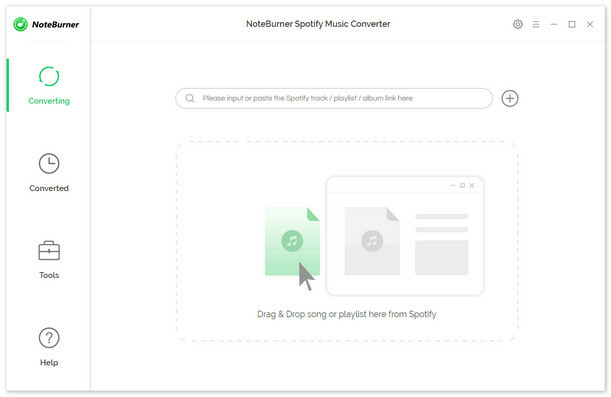 Launch NoteBurner Spotify Music Converter for Windows. You will see the intuitive interface of the program. Click button or click center of the program, then you will see a pop-up window which indicates you to copy and paste the playlist link from Spotify. You can copy and paste the link on the link window and click "Add". Then you can click "OK" to finish adding tracks. When finish customization, click "Convert" button to start conversion. After conversion done, you can find the converted audios by clicking button. 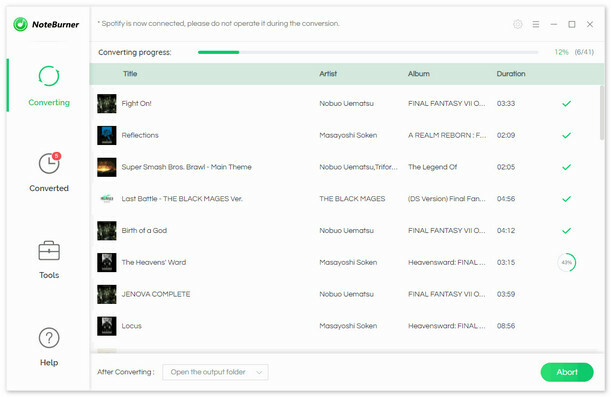 And if you want, you also can select one song and click the "share" button to burn to a CD or send it to your friend for enjoying.